2017 has been an exciting year for IBP, with success in the Wiltshire Business Awards, growth in new sectors and IBP’s reputation gaining popularity, the timing was right to add a new member to the team. We are delighted to welcome Fraser to IBP. With a solid background in sales he has already demonstrated his sales skills and is building his own Client base. Fraser’s strong values, together with his competitive and professional approach mirror what we look for as we grow the team. Craig Roberts, Managing Director, commented, “During Fraser’s first interview I knew he would be a great fit for IBP and he has settled into his new role perfectly. He has a great future ahead of him in recruitment and I’m excited to see how he develops with IBP”. Fraser – I worked for an Exhibition Company, the working environment was great and there was a great buzz and work ethic. The role was very rewarding as you got to see all your hard work pay off when the time came to host the event. Fraser – I am a people person and I feel my sales ability is perfectly suited for the recruitment sector. I also believe I can become an integral part of IBP’s growth with plenty of career progression available at my fingertips. Fraser – This is an easy question for me as I consider myself a bit of a geek. Growing up watching Smallville, it has to be Superman. 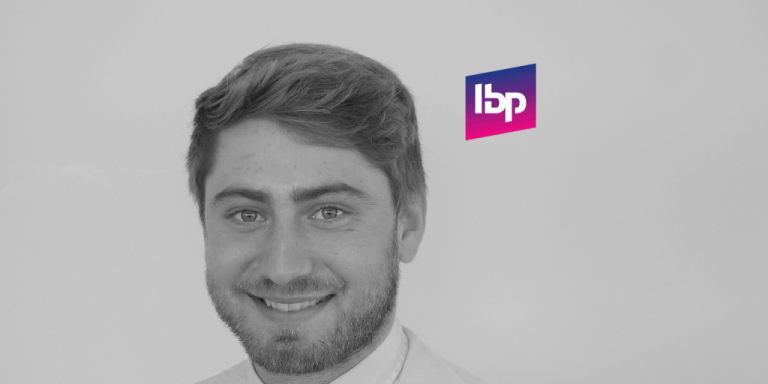 We have more desks to fill, so if you are looking to further your career as a recruitment consultant, or if you are looking to enter the world of recruitment then get in touch today, and you could be reading about the start of your journey with IBP.